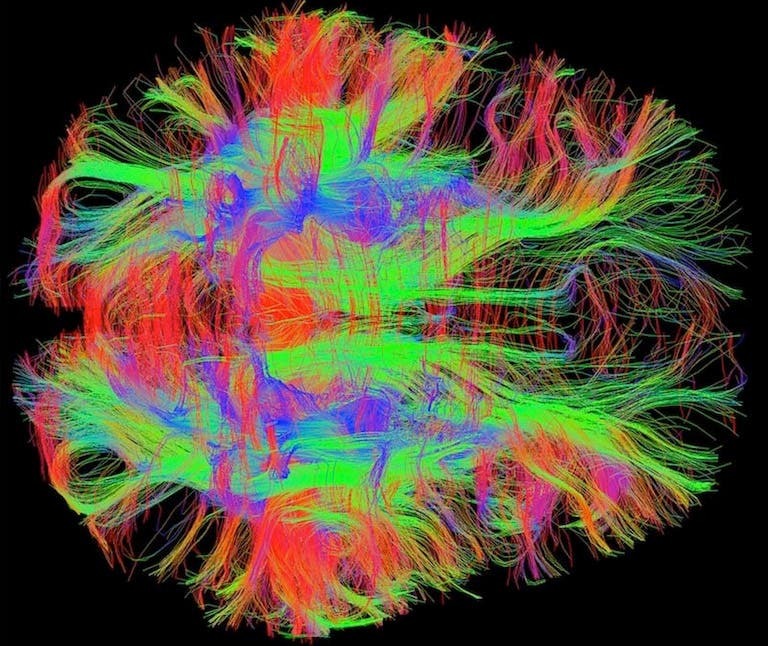 The cosmos in your cranium: "The human brain is the most complex organized matter in the universe (pending more complex brains that exist elsewhere in the cosmos)." Cracking the German Enigma code is considered to be one of the decisive factors that hastened Allied victory in World War II. Now researchers have used similar techniques to crack some of the brain’s mysterious code. By statistically analyzing clues intercepted through espionage, computer science pioneers in the 1940s were able to work out the rules of the Enigma code, turning a string of gibberish characters into plain language to expose German war communications. The work by researchers from the University of Pennsylvania, Georgia Tech, and Northwestern University could eventually help decode the neural activity underpinning more complex muscle movements and become useful in prosthetics, or even speech, to aid patients with paralysis. During the war, the team that cracked Enigma, led by Alan Turing, considered the forebear of modern computer science, analyzed the statistical prevalence of certain letters of the alphabet to understand how they were distributed in messages like points on a map. That allowed the code breakers to eventually decipher whole words reliably. In a similar manner, the neurological research team has now mapped the statistical distribution of more prevalent and less prevalent activities in populations of motor neurons to arrive at the specific hand movements driven by that neural activity. The research team was led by University of Pennsylvania professor Konrad Kording, and Eva Dyer, formerly a postdoctoral researcher in Kording’s lab and now an assistant professor at Georgia Tech. They collaborated with the group of Lee Miller, a professor at Northwestern University. They published their study on December 12, 2017, in the journal Nature Biomedical Engineering. In an experiment conducted in animal models, the researchers took data from more than one hundred neurons associated with arm movement. As the animals reached for a target that appeared at different locations around a central starting point, sensors recorded spikes of neural activity that corresponded with the movement of the subject’s arm. The statistical prevalence of certain neurons’ firings paired up reliably and repeatedly with actual movements the way that, in the Enigma project, the prevalence of certain code symbols paired up with the frequency of use of specific letters of the alphabet in written language. In the neurological experiment, an algorithm translated the statistical patterns into visual graphic patterns, and eventually, these aligned with the physical hand movements that they aimed to decode. “The algorithm tries every possible decoder until we get something where the output looks like typical movements,” Kording said. “There are issues scaling this up — it’s a hard computer science problem — but this is a proof-of-concept that cryptanalysis can work in the context of neural activity. “At this point, the cryptanalysis approach is very new and needs refining, but fundamentally, it’s a good match for this kind of brain decoding,” Dyer said. Brain decoding does face a fundamental challenge that code-breaking doesn't. In cryptography, code-breakers have both the encrypted and unencrypted messages, so all they need to do is to figure out which rules turn one into the other. "What we wanted to do in this experiment was to be able to decode the brain from the encrypted message alone,” Kording said. A cryptanalysis approach to decoding neural activity is particularly attractive when it comes to brain-computer interfaces that control prosthetics. Existing brain-computer interfaces can already use such data to move a robotic prosthesis, but Kording and Dyer’s experiment has achieved a significant innovation. Existing technology uses a process known as supervised learning, in which the interface can be trained to recognize which neural firings correspond to which intended physical movements, and can thus “replay” those movements when the subject's motor neurons produce a pattern the device has been trained to recognize. The new research could do away with the training period required for existing brain-computer interfaces to function and allow robotic limbs to directly interpret their user’s thoughts without even having to be calibrated. It would represent a significant quality-of-life improvement for patients wearing them. The researchers’ innovation could mean the difference between a patient straining to mentally picture how the arm should move with possibly cumbersome results, and willfully moving the arm in a virtually natural way. This cryptanalysis approach also offers promise for brain-computer interfaces to achieve literal mind-reading, the way decoding Enigma allowed for reading encrypted texts. A consistent improvement in brain recording technology could help put this goal within reach. This could become useful for patients unable to speak but could also possibly be abused in espionage, Kording warned. But there's still time to work out the direction future applications take on. Modern encryption systems are so refined they’re impossible to crack. Enigma, on the other hand, was new enough during World War II that it had small imperfections that gave decrypters a pathway into its secrets, making its cracking a fitting inspiration for brain decoding.